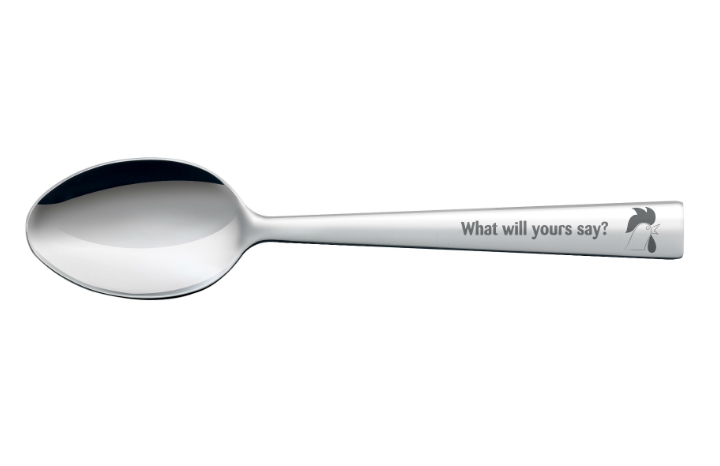 Kellogg’s is once again offering you the chance to claim a personalised breakfast spoon when you buy boxes of cereal. However this year there is a £1.50 postage fee. The offer can be found on promotional packs of Kellogg’s Corn Flakes, Krave, Coco Pops, Rice Krispies, Frosties, Crunchy Nut and Special K.
To claim your spoon, simply buy three packs of cereal, choose whether you’d like an adult or child-sized spoon and whether you’d like a logo (Coco Monkey, Tony The Tiger, the Special K logo or cockerel Cornelius). Then type in your chosen name or message up to 11 characters long, and enter the codes found on the bottom of each box on the Kellogg’s website - and wait for your spoon to wings its way over from Kellogg’s HQ! A Kellogg's spokesperson said: "Last year our spoons offer proved incredibly popular with shoppers, so we’ve brought it back for 2016 to give people another chance to get a spoon with their name on." Codes are redeemable until September 30, 2016 and Kellogg's hopes to send your spoon within 28 days but asks for a 90 days' delivery time.